These lessons are used in classes from Kindergarten through Fifth Grade at church so I KNOW these lessons work for all those ages as they are differentiated for the different age groups. 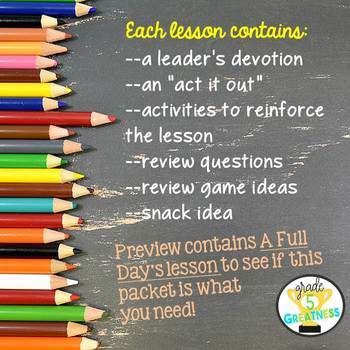 Each lesson contains MORE material than you will need for a 45 minute class. Choose what works best for your time slot, your children, and your Sunday School/Christian school/devotion time! Looking for a Bible Study for Teachers? Check out Teacher Bible Study! 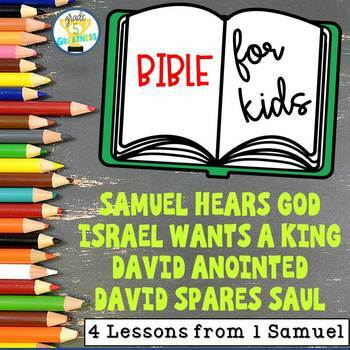 I have another set of Bible Lessons for Kids found at Kids Bible Study!